What’s the best way to clean your boat’s water tanks and freshwater system? We asked Terry Slattery, a graduate engineer and bluewater cruiser who has done all his own maintenance for years. Engineer and bluewater cruiser, Terry Slattery. Q. What’s the best procedure to use in making sure that your freshwater system is clean, and when should you tackle this job? A. Maintaining a clean freshwater system requires three separate operations: First, flush out your water tanks and plumbing system when you winterize the boat. Go through the same process when you launch the vessel in the spring. Be ready to take steps to keep the system clean if needed anytime during the boating season. Q. Let’s start with the part you do in winterizing. How do you go about this? A. It’s pretty straightforward, but be forewarned: it takes time. Drain the water system completely by opening all the faucets (hot and cold), and pump until the tank(s) are empty. Pour five or six gallons of non-toxic (propylene glycol) antifreeze into the tank. Choose antifreeze with a freeze rating of at least -50 degrees Fahrenheit. If you’re winterizing in an area where temperatures may fall below zero degrees, choose an antifreeze with a -100 degree rating. There will always be some residual water in the system, and that dilutes the antifreeze solution. If there’s a water heater, drain it and isolate it from the rest of the system, or if you can’t isolate it, use one or two extra gallons of antifreeze so that it runs through the water heater. The next step is to pump the antifreeze through the whole water system. If there’s a water heater in the system, open the hot-water tap(s) and pump until antifreeze comes out. Do the same with the cold-water taps. Remember to include the shower. Q. How about spring commissioning? What do you need to do to get your water system ready for the boating season? A. It’s a similar process. First, flush the antifreeze out of the system: fill the tank with clean water, open all the taps (hot and cold), and pump fresh water through the system until the tanks are drained. If you suspect contamination in the tank or water lines, you can sanitize the system with ordinary household bleach (the no-fragrance type). Use an eighth of a cup of bleach for each 10 gallons in the system; add the bleach to a gallon of fresh water and mix the solution. If the boat has aluminum water tanks, you may choose a non-chlorine sanitizing product. Pour the mixture into the water tank, and then fill the tank. Open all the faucets, and pump water through the entire system until you smell the odor of chlorine at all the faucets. Then let it sit for at least four hours. Pump out the system again to flush out most of the sanitizing solution. Fill the tank with fresh water, open all the taps, and pump again to flush out any residual sanitizing solution. Repeat the drain-and-fill procedure until you don’t smell chlorine at any of the taps. When the water has no odor, fill the tanks, and you’re ready to go. Q. Is there anything you need to do during boating season? A. If you trust the water supply at your marina, you probably don’t have to do anything more, but if you’ve hooked up to a questionable water supply there or at another marina, you may want to consider using some sort of water-treatment chemicals. You can buy water-purification tablets or a powder that you can just drop into your tank. If you’re in doubt, you can have your water tested; just collect a sample in a small container, and take it to a water-conditioning facility for testing. They’ll tell you what impurities your water contains and how to deal with them. Q. What about boaters who use onboard watermakers to provide them with water? Do they follow these same procedures? A. No. If your boat has a watermaker, you’ll have another set of procedures to use in keeping your system clean. Follow the instructions in the watermaker manual. Whatever you do, don’t use chlorine in such cases. It will damage the system. 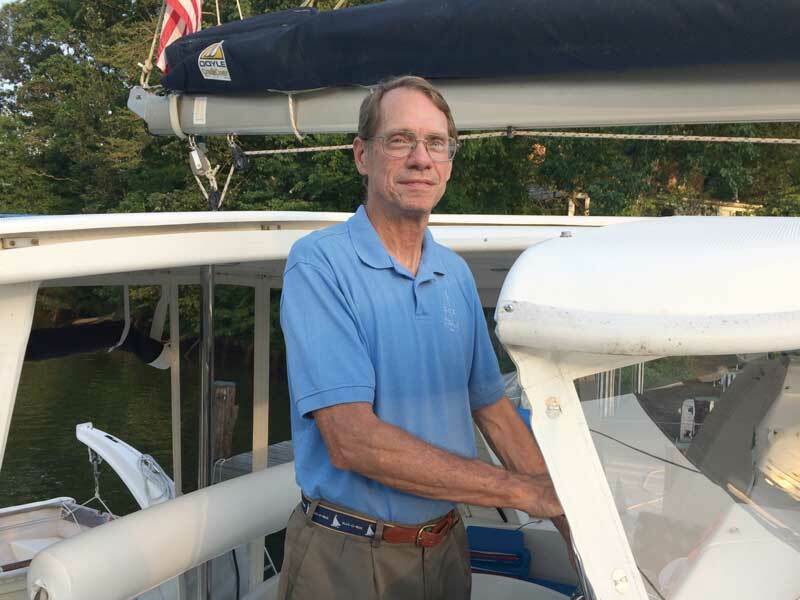 About the Author: Art Pine is a Coast Guard-licensed captain and a longtime powerboater and sailor on the Chesapeake.